For the safety of the students and community, the Nixa Public Schools, has taken every advantage to provide FEMA 361 Safe Rooms within the district. 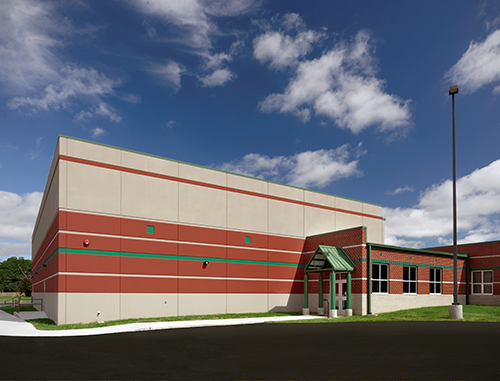 This includes the 11,400 square foot facility situated on the Nixa Mathews Elementary Campus. The Safe Room has a capacity for up to 1,615 occupants during an event. This building doubles as a gymnasium and multi-purpose performance space. The structure itself is elastomeric painted, precast panels and double tees and can withstand winds in excess of 250 mph. As a way to enhance the space, FEMA 361 rated windows have been provided to permit natural light. 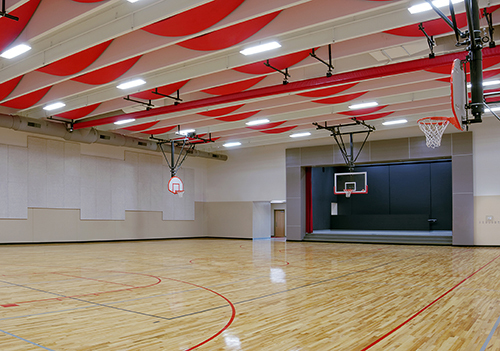 Acoustical treatments, such as, painted acoustical wall panels and ceiling suspended lapendary panels have been provided to enhance and soften the acoustical performance of the space.